Police give first city doles to unemployed. 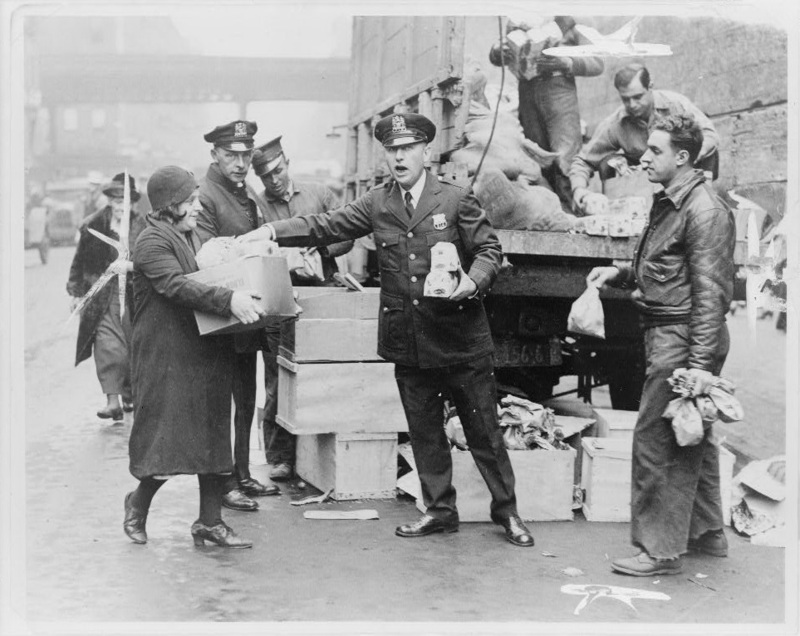 Police distributing eggs and bread to city’s needy at E. 104th St. station house. New York World Telegram Staff Photo 1930.